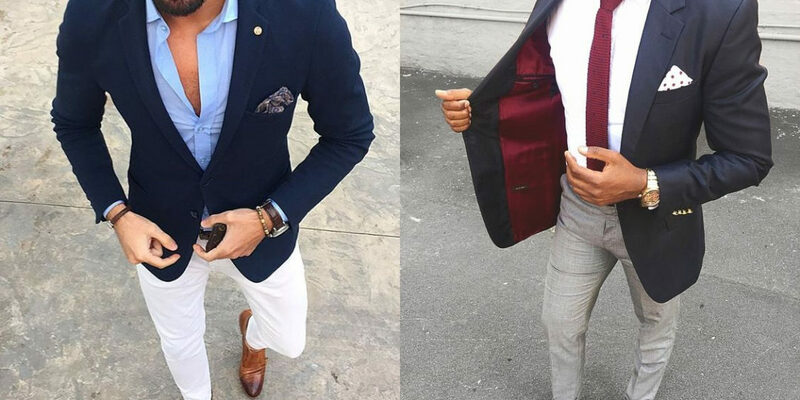 These days, a man’s wardrobe is incomplete without a three-piece suit. It is said that the suit that we all know and love today started in the early 1800s by a gentleman called Beau Brummell. He replaced long-tailed coats and silk stockings with the classic suit jacket accompanied by full-length trousers and it all went from there. But as we’re faced with new challenges (such as the lengthy daily commute) and as we strive to cut out time consuming activities (ironing a suit can be draining), what does the future look like for our tailoring? One innovation that has been rolled out across many clothing manufacturers is temperature adjusting materials. In many cases, this works by controlling the body heat of the wearer. Researchers across the US developed clothing that changes how much radiation escapes from the shirt and how easily air can circulate around the body. Although heat controlling technology in clothing is not new, it is only in recent years that it has made its way into wearable clothing when it was once reserved for those in space. This sort of technology not only improves comfort levels for the wearer but can potentially have knock on positive effects on the environment. Air conditioning (AC) accounts for an outstanding 13% of energy used in the US. If our shirts become temperature regulated, then it is possible we will be in lower need of constant AC — reducing our carbon footprint so we all benefit! Another development in material technology is non-iron fabrics. Enjoy an extra 10 minutes in bed as you pull your work shirt out of the dryer and put it on straight away — wrinkle free and no need to haul out the ironing board. The technology behind the non-iron shirt includes a process that strengthens the fabric, preventing the molecules from moving as much and increasing its resistance to creasing. It’s important that a suit gives us the flexibility to move freely. Especially when you’re sitting in the same place for a prolonged period of time, such as at the desk, on your way to work or at a fancy dinner. This is where the latest mechanical stretch technology comes in to play. This sort of technology works with the materials of the suit to improve its flexibility. Some suit jackets and shirts achieve this stretch through incorporating a small percentage of elastane in the fabric and this is enough to enhance the comfort of the garment. An increasing amount of funding is being spent on researching and developing wearable payment gadgets. Of course, we already have the ability to pay contactless with a smart watch or phone but that’s just not enough! MasterCard paired with fashion designer Adam Selman to explore the idea of inserting a microchip into clothing, perhaps in the sleeve of a jacket or into a bag — allowing you to pay for items with even less effort. This concept could have some effect on our tailoring trends as cuff links and pockets could become payment devices! We could potentially be closing the door to buying a garment we like in different colours. The research behind it is ever advancing and there are a few ongoing projects developing the idea. One of the projects, explored by scientists at the University of Michigan, is looking at incorporating tiny crystals that react differently depending on the wavelength of light. This affects the crystal’s formation and how they look in terms of colour to others. Other research, carried out in Montreal, is investigating how electricity from human movement can power electric fabric and change its colour. At the moment, the research is a long way off from our high streets, but it is paving the way for colour-changing materials in the future. Purchasing a three-piece suit can be costly. It is then unsettling when a sleeve is caught on a door handle or on something sharp and the material is damaged. The latest technology in textiles is addressing this issue through the development of self-healing fabric. It works by coating regular fabric in a special solution that, when ripped, is able to melt back together at low temperatures. Other research has founded that E. coli bacteria has self-replicating properties, and this is being explored in order to discover if it can be used to knit broken fabric back together. It’s no secret that our wardrobes have advanced over time. Many developments are being made in order to make our lives easier and further enhance our suits to meet our highly digital and busy lifestyles.